I used Starbuck’s Italian Roast Via powder (four packets – measured to a little more than one tablespoon). Baked these cookies just as directed, and I found them doughy. (OK, in full disclosure: I prefer cookies on the ‘crispy’ side – keeps with my “You’re either a chewy or a crunchy person?” – I’m crunchy!) My family, however found them fine. Now, will they replace my Jacques Torres recipe – nope! 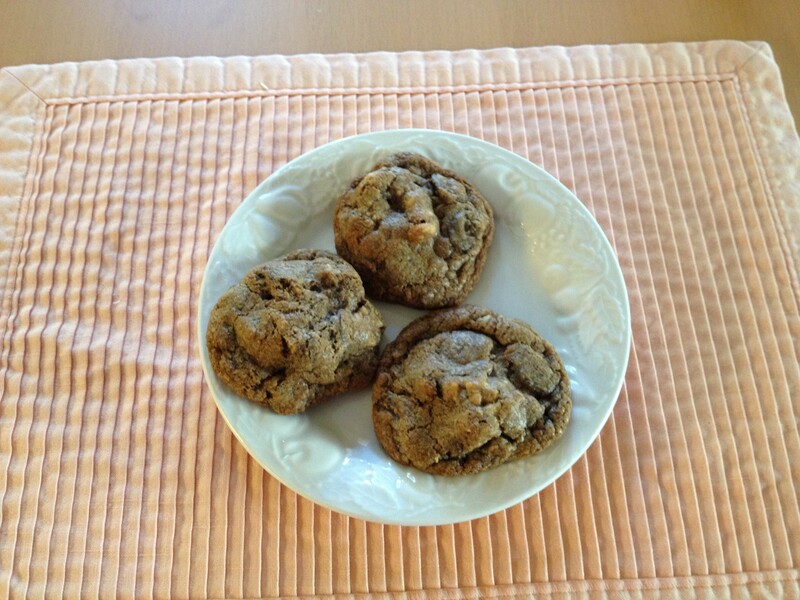 But, I did make a batch of the Jacques and added the instant coffee, and they were an instant hit! So, I will make that change.